Despite initial set-backs, the PRIME X370 PRO pumps out solid performance with the 1800X and features a whole load of ASUS exclusive technologies and content, from the latest AI suite, Aura lighting, and the 5way optimisation, there is enough support to help any system builder to get the best out of their system. Though it does miss out on some features that many would have liked to see, including SATA Express or even an NVMe U.2 port, we can argue that these are non-essential standards that aren't yet widely used. However, it does include other cutting edge standards such as a front panel USB 3.1 Gen 2 USB header which is likely to see a much faster adoption. We did have some issues getting our memory to run at its rated speed on an older BIOS, we have tested the latest BIOS and found that it had improved some stability for us. As this is an issue that is platform wide, not exclusive to the PRIME X370, it isn't really right to penalise this motherboard for not quite having the desire stability that will only be there once it matures a little through various updates. One major gripe we did have though, is that we noticed that the entire motherboard is, literally, very bendy and weak, so we recommend caution when installing memory, graphics cards and CPU coolers. Also, despite featuring the Crashfree BIOS 3, there were many failed OC attempts that caused a continuous power loop, defeating the point of 'Crashfree BIOS', it was at this point we missed the convenience of an onboard 'Clear CMOS' button, debug LEDs or even the ASUS MemOK! feature. 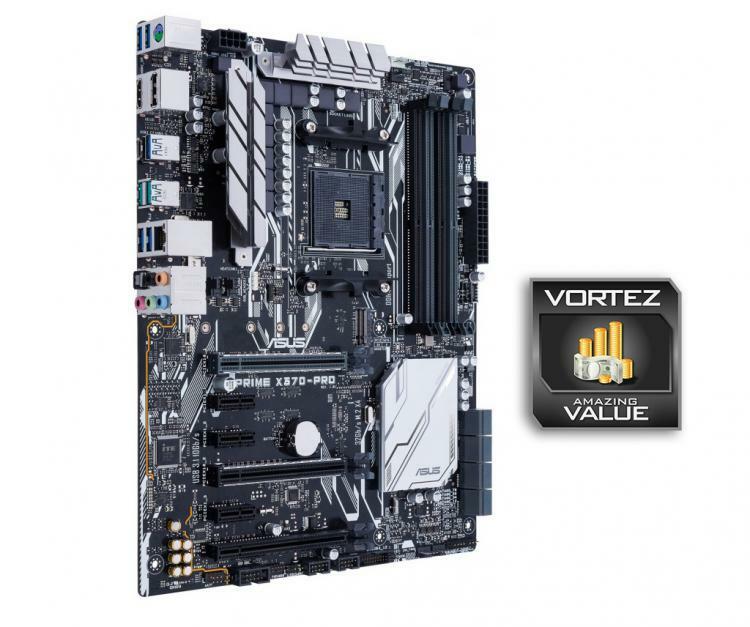 The PRIME X370 PRO sits around the £150 price point and is significantly lower priced than many other X370 motherboards. Despite the concessions made to reduce the overall cost, it still provides users with a well balanced product that provides competitive features and performance. We nearly overlooked the fact that it features two video output methods (HDMI and Display Port), something that will be more important once the APUs are made available. The inclusion of contemporary features including RGB lighting and a 3a output watercooling pump header (with over current protection) means that there is appeal new and experienced system builders alike. The PRIME X370 PRO gives users a chance to maximise their bang for buck without missing out on the latest essential features.